This is an easy to grow vine and very vigorous. While officially hardy to zone 10 and warmer, it will take a few frosts. technically, it is safe to 27f. You could grow it in a large pot outside in the summer and bring it into a light window for the winter after cutting it back a bit. In the warm months it will reward you with a constant supply of the huge, unusual blooms with great colors. Another type which looks like Darth Vader! 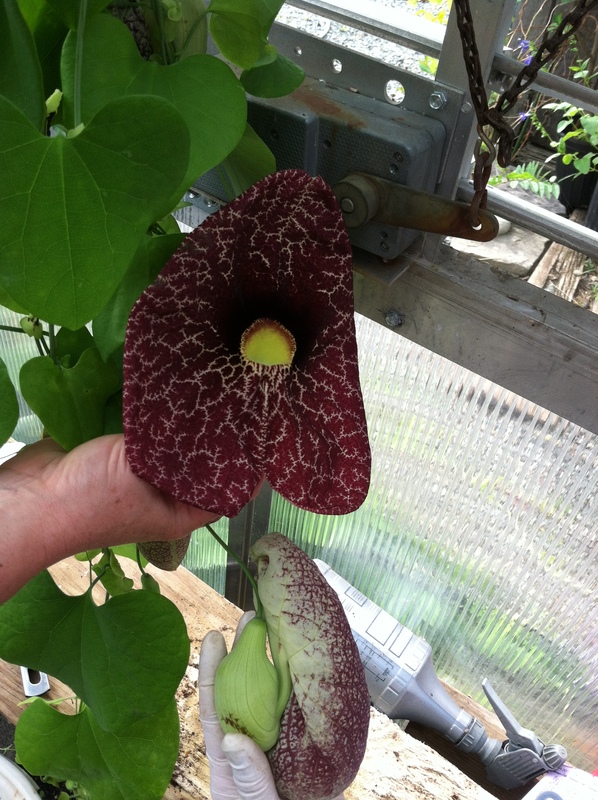 ”Aristolochia californica (Dutchman’s pipe) (Photo credit: Wikipedia) You can see how it got it’s name! Each flower has one day in which it smells like a lemon! While it isn’t overpowering, with so many flowers in blooms at once, it is always noticed when walking by. Down south it may be safely grown outdoors in the ground where it will bloom much longer. Bed of Nails spikes are very sharp! 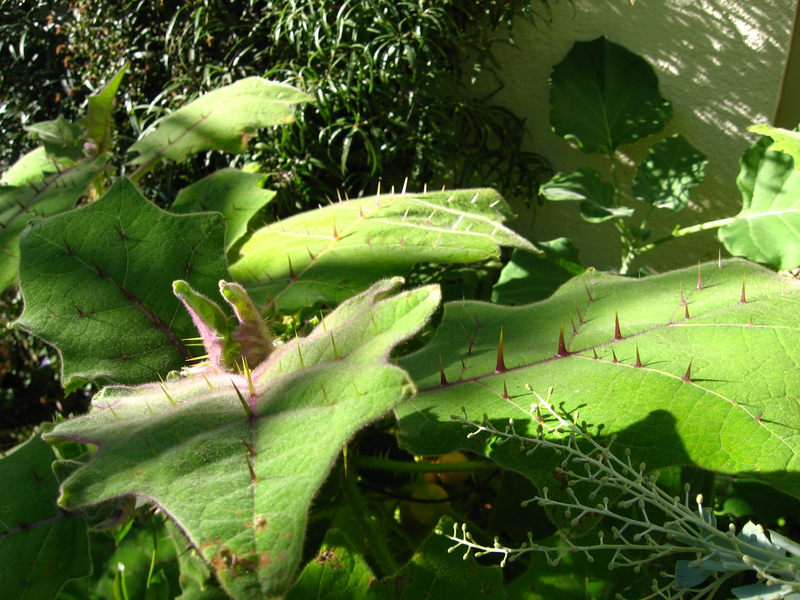 Bed of Nails is a fuzzy-leaved tropical relative that brandishes wicked purple spikes along its stems and leaf veins. Easy to grow, it is very effective in plant combinations with purple accents. It takes up a lot of room and by the end of the summer, you might end up with just that in the container, as it will take over. I have had my plant set fruit, which are orange and fuzzy and I understand that they make a tropical drink from it. Collect seeds from the fruit for a new plant the next season(one is enough for me), as it can get 4 feet around in one season. The bloom is not spectacular and you would only grow it for its beautiful and dangerous foliage. According to Wikipedia, “The genus Stapelia consists of around 40 species of low-growing, spineless, stem succulent plants, predominantly from South Africa. The flowers of certain species, most notably Stapelia gigantea, can reach 41 cm (16 inches) in diameter when fully open. Most Stapelia flowers are visibly hairy and generate the odour of rotten flesh; a notable exception is the sweetly-scented Stapelia flavopurpurea. 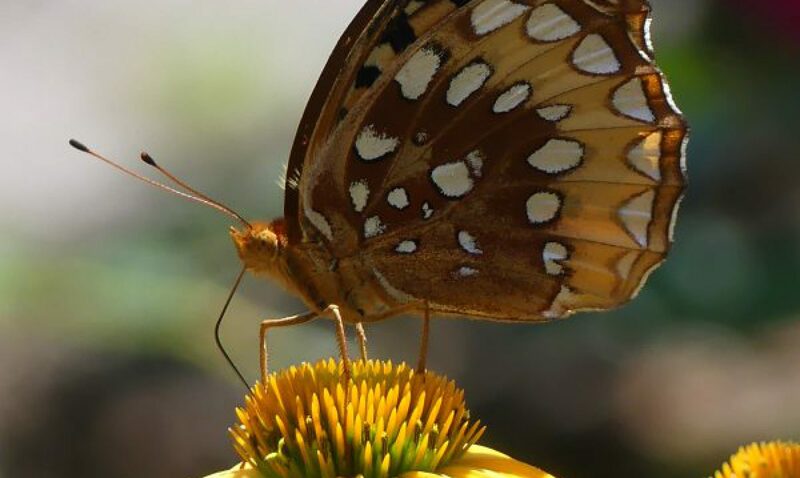 Such odours serve to attract various specialist pollinators including, in the case of carrion-scented blooms, blow flies of the dipteran family Calliphoridae. 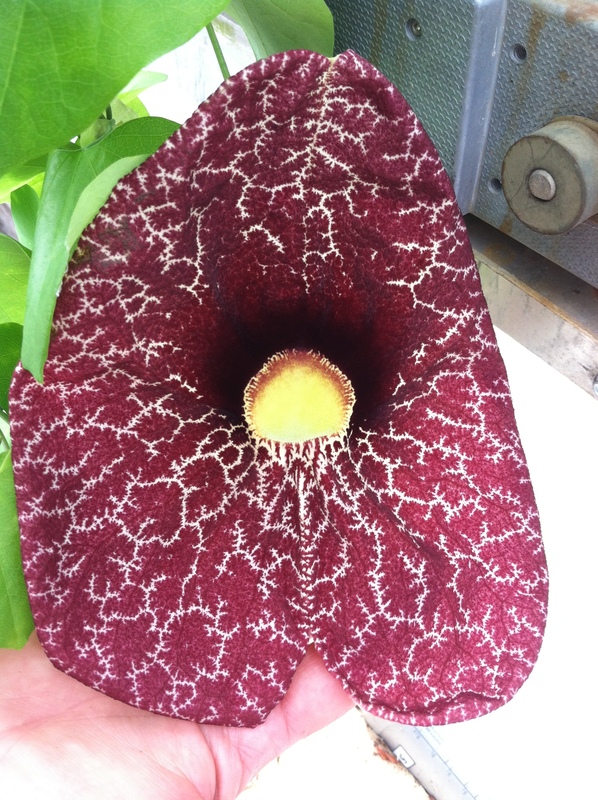 They frequently lay eggs around the coronae of Stapelia flowers, convinced by the plants’ deception”. Whew! That just said that the odd-looking flowers resemble rotting meat and smell like rotten meat! Stapelia are good container plants and can grow well under full sun and light to moderate watering. They should be planted in well-drained compost as the stems are prone to rotting if kept moist for long. Stapelias are succulents so they like to be kept on the dry side. 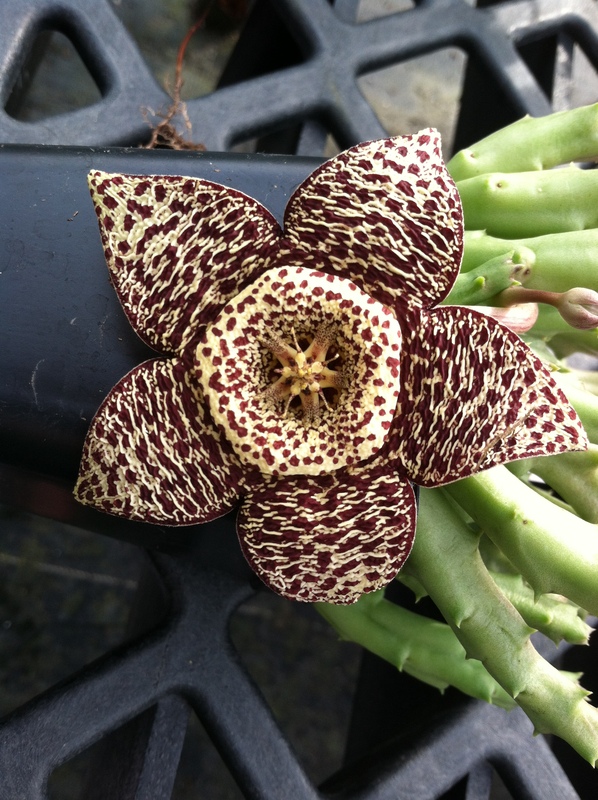 When my Stapelia was in full bloom, the flies clustered around it! It was pretty amazing! fall. Plant this one in shade and good soil. 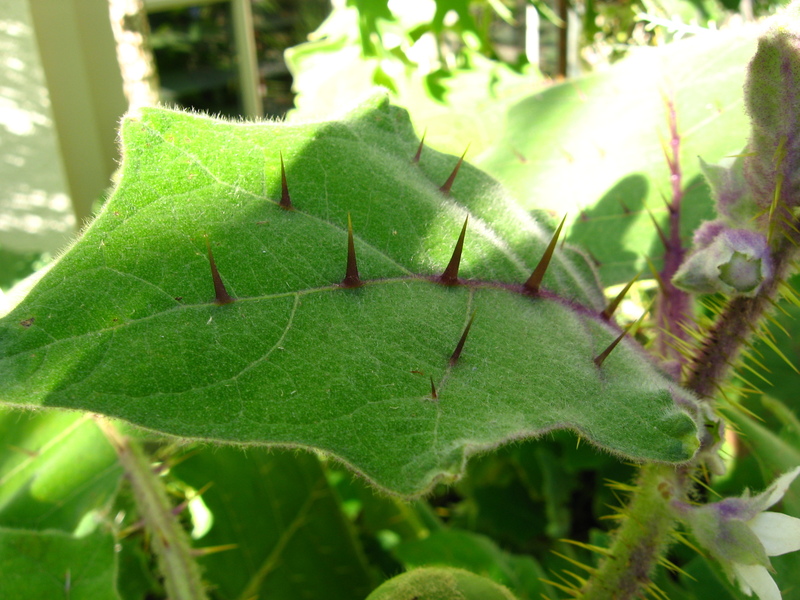 It is easily propagated by snapping off the baby bulblets that grow like warts in the leaf and leaflet axils. Mandrakes are the plants that were featured in Harry Potter. His crew had to learn how to handle them very carefully and grow them to maturity. The small plants would emit a scream that could put them out for a few hours and the mature plant could kill a human. The root of the plant looks just like a gnarly human figure. The root looks like an angry human! 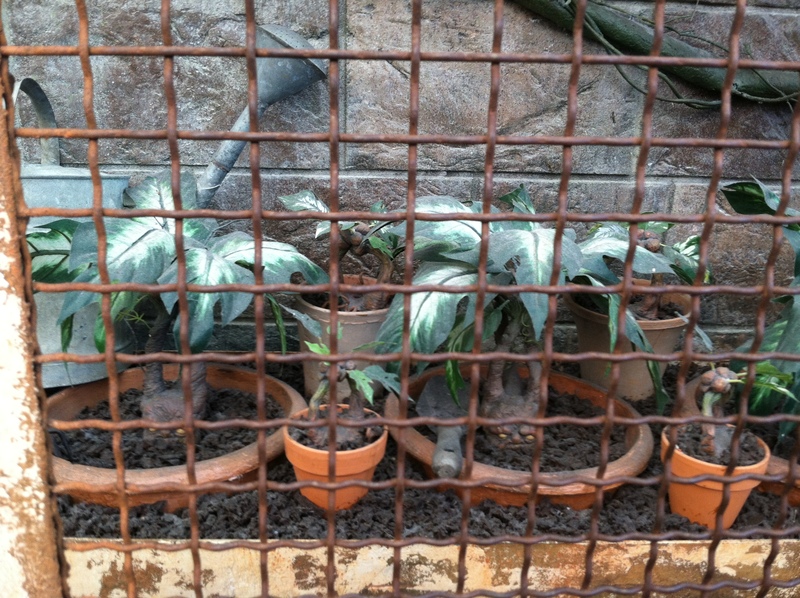 Mandrake plants at Harry Potter World, the root is supposed to look like a human and the scream of the root when pulled was supposed to kill you! 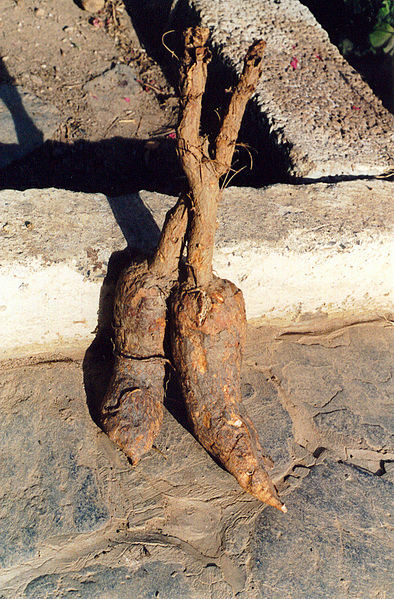 In reality, the mandrake root contains hallucinogenic compounds that are extremely poisonous and the root is bifurcated and can resemble a human! Mandrake or Mandragora belongs to the Nightshade family and has long been linked to superstition and witchcraft. It contains many toxic compounds and is rated by the US Food and Drug Administration as UNSAFE! These amazing blooms and plants remind me of the movie Minority Report too (in addition to Little Shop of Horrors!) Have you seen it? It’s a futuristic film with Tom Cruise – there is a scene in a greenhouse with I believe if I remember right – the thorn leafed plant among many other oddities! Beautiful photos! Thank you for this journey into the bizarre plant kingdom! I have seen it. It also reminds of Harry Potter’s experience! No, My only source is Flora Grubb. If you google it, I am sure you can find something local. Previous PostPrevious Not Another Echinacea!! !